With such grim news coming from the national and international political and climate fronts these days, it can be difficult to appreciate the progress we are making. Here at Friends of the Eel River, we’re heartbroken and outraged by the atrocities currently being committed in America’s name, but we’re also damn proud of the work we are doing to protect our home watershed. And sometimes, we absolutely need to be buoyed up by the good things in order to have the heart and stamina for the path ahead. Thus, I wanted to share a little about our recent progress in hopes of inspiring you a little bit, too. Please read on, and don’t forget to call Governor Brown to ask him to support the Great Redwood Trail Act! Proposed this spring, SB 1029, the Great Redwood Trail Act, would dissolve the North Coast Railroad Authority, handing ownership and governance of the right-of-way from Willits north over to the Great Redwood Trail Agency. This new entity would be tasked with remedying existing environmental problems and developing and maintaining a non-motorized trail in the right-of-way. The southern portion of the line would be transferred to SMART (Sonoma-Marin Area Rail Transit). SB 1029 sailed through the California State Senate, receiving unanimous yes votes in the Transportation, Environment, and Finance committees as well as on the floor. Now, it is awaiting the support of Governor Brown before it moves to the Assembly. Gov. Brown has immense power when it comes to the budget, so his support is truly critical in these final phases. Please check out this action alert and make a quick call today. While FOER’s primary concern is resolving the problems the railroad has created on the Eel, we are also excited about the recreation and tourism opportunities afforded by the Great Redwood Trail for the entire region. Embracing changing regional priorities by transitioning from an extraction-focused freight line to a world class trail is exactly what the North Coast needs right now. In related news, FOER will be back in California Superior Court later this summer, seeking a final resolution to our challenge to the NCRA’s refusal to comply with CEQA. Our victory before the California Supreme Court and the US Supreme Court’s refusal of the NCRA’s appeal leave us in a strong position in state court. With marijuana legalization, California has a real chance to build a sustainable and just cannabis industry. Unfortunately, Humboldt County’s efforts to provide the local regulatory structure to make this possible have been wholly insufficient thus far. The ordinance the Supervisors ratified in May would permit 3,500 operations without doing the watershed analysis necessary to determine if struggling salmon streams can support them. It is an improvement over where the County started with an ideological commitment to just permitting everyone despite the impact, but we can, and must, do better. 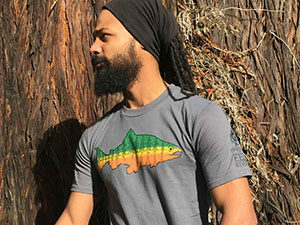 Thus, on June 6, FOER filed suit against Humboldt County in California Superior Court for failing to adequately protect our native fish and waters from the industry’s impacts under its Cannabis Cultivation Land Use Ordinance. With legalization, there is no longer any justification for practices that continue to degrade salmon and steelhead habitat in the Eel River. Since April of 2017, Friends of the Eel River, other conservation and fishing groups, and tribes with treaty rights to Eel River salmon and steelhead have been participating in the Federal Energy Regulatory Commission’s relicensing process for the two dams and a diversion on the upper Eel River, known as the Potter Valley Project. We have also been meeting with stakeholders in a parallel process convened by Rep. Jared Huffman to develop solutions that would work for both the Eel and Russian River interests. Our goal is to remove the dams and restore fish passage to the upper 10% of the Eel River watershed. Removing Scott Dam would open up hundreds of miles of prime salmon and steelhead spawning grounds. And the FERC relicensing process provides a window of opportunity to forge such a deal. The key lever in securing Scott Dam removal is the requirement in the Federal Power Act that new hydropower dam licenses include fish passage where feasible. It is now clear that such passage is feasible, but would be quite expensive ($50-90 million for a fish ladder that probably would not work very well). These environmental and economic realities don’t sit well with dam owner PG&E or the Russian River recipients of Eel River water. In May of 2018, PG&E announced its intent to auction off the Potter Valley Project this fall. The utility is clearly trying to figure out a way to avoid the enormous liabilities associated with ownership of these aging dams, including the potential cost of a FERC order to remove them. FOER is encouraged that, after years of stalling, Humboldt County passed a resolution in support of restoring fish passage and flows for the Eel River. We are, however, alarmed that elected representatives have found it politically acceptable to deride our concerns and even accuse us of lying despite clear evidence that something hinky is indeed going on. Specifically, FOER learned and confirmed through a series of Public Records Act requests that some North Coast county supervisors on the Eel Russian River Commission have been working to further a PG&E plan to keep Scott Dam by avoiding the federal fish passage requirement. We’ll keep plugging away to illuminate the threats that the dams pose to our fish and communities and to demand accountability and transparency from our elected officials. With the facts on the table, only the truly delusional can continue to support retaining the Eel River dams.